It takes a special fighter to stand out in the featherweight division, which is home to massive names like Conor McGregor, Jose Aldo, Max Holloway, Frankie Edgar, and Anthony Pettis. Yet with a special blend of crippling power, sniper-like precision, and unassuming looks, that’s precisely what Doo Ho Choi is doing. The 25-year-old South Korean is quickly emerging as one of the division’s most popular fighters. 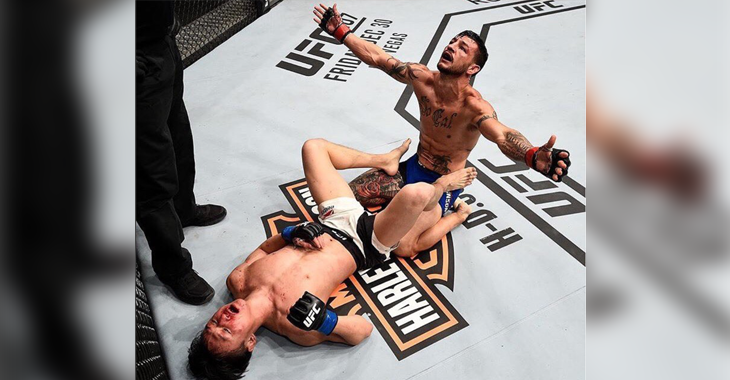 Since he joined the UFC in November of 2014, Choi has scored first-round knockouts over Juan Manuel Puig, Sam Sicilia and most recently, seasoned veteran Thiago Tavares. 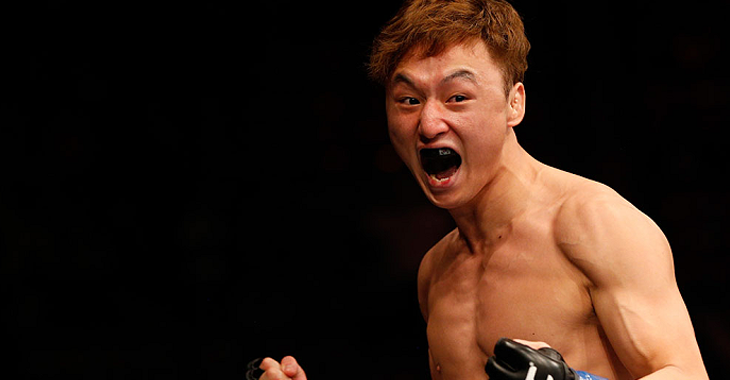 Now a member of the featherweight top-15, the young Korean is hopeful for a bout with long-time contender Cub Swanson. Should he be granted this wish, he’s confident that he’ll score another first round knockout. Considering Swanson has only been knocked out once in his 30-fight career – by interim featherweight champion Jose Aldo back in 2009 – Choi’s scoring a first-round knockout over him would certainly be impressive. That said, the young Korean is absolutely capable of such a feat. 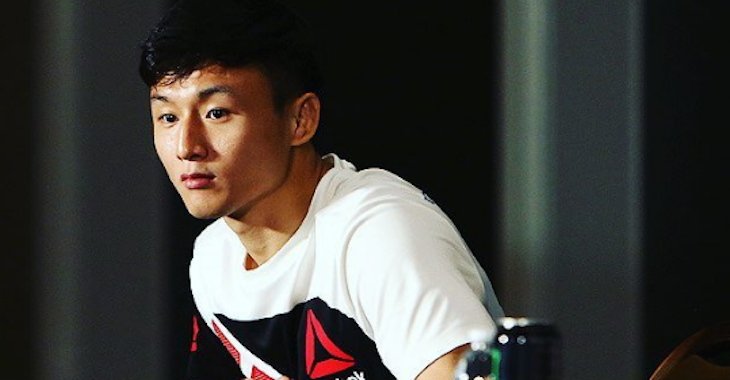 In his interview with FloCombat, Choi also said that he’d be confident against many other elite featherweights, from Conor McGregor to Frankie Edgar. “I train out of Team Mad in Busan, Korea under the head coach Sunghoon Yang,” he said. “He is the reason why I think I can beat all of those guys like McGregor, Aldo and Edgar. 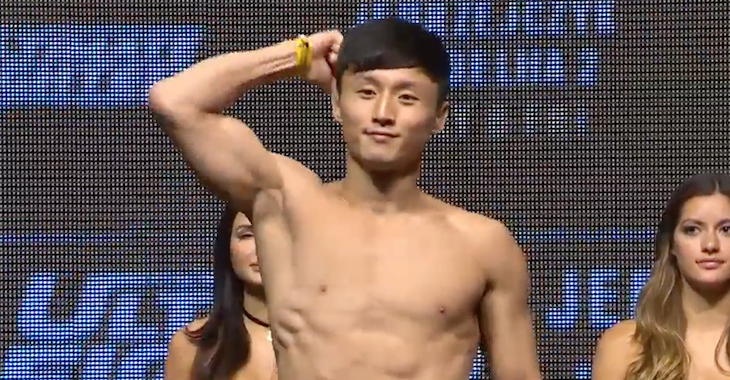 Needless to say, Doo Ho Choi is certainly not lacking confidence as he blasts his way through the featherweight division. How do you think the South Korean would fair against Swanson and the division’s other top fighters? Sound off, PENN nation!